A new California law will force Monsanto to slap a cancer warning on its Roundup weedkiller. Agrochemical giant, Monsanto has lost its court battle in California after a Fresno county judge ruled that the active ingredient in the company’s notorious weed killer ‘Roundup,’ glyphosate, can be added to the state’s list of cancer-causing agents. Once the chemical is added to the list, the company will have one year to label that it’s a possible carcinogen on their products. RT America’s Brigida Santos reports, speaking to Zen Honeycutt, founder of Moms Across America, and Alexis Baden-Meyer, political director of the Organic Consumers Association. The first polio case in five years from the scenic Swat valley was confirmed on Monday, which, along with a fresh case from Sindh, raised the national tally to 262. According to an official of the ministry of health, the cases were confirmed after being tested for polio virus at the National Institute of Health (NIH). The victim was identified as 21 month-old Abu Takha, son of Noor Muhammad from UC Khwaza Khela of Tarogay Village in the Swat Valley. The second polio case confirmed on Monday was that of Sumaira, daughter of Qadir Bux, from UC Humayon in Hadi Bux Bakhrani, Sheikhupura. refused drops for their child. The two cases raise the total number of cases reported in Pakistan this year to 262. These include 163 from Fata, 55 from K-P, 27 from Sindh, three from Punjab and 14 from Balochistan. The Americas are experiencing an epidemic that has been largely ignored by the rest of the world as it focuses on west Africa’s Ebola outbreak. The debilitating mosquito-borne Chikungunya virus has infected almost one million people since it first emerged in South America and the Caribbean less than a year ago. The virus has rapidly spread across the Americas, causing huge pressure on health services in some of the poorest countries in the western hemisphere. The Dominican Republic, the most popular Caribbean island for tourists last year with 4.7 million visitors, has recorded 500,000 cases. A third of the population lives on 80 pence ($1.25) a day. Central America has also been affected, with 123,000 cases in El Salvador. The epidemic has failed to attract international media attention amid the Ebola crisis, as deaths from Chikungunya are relatively rare: . About 150 people have died among nearly 931,000 cases in the Americas – the US has had more than 1,830 cases. The issue goes back to new regulations passed by the Uruguayan government in 2009 regarding tobacco product packaging and sales. First, the government required that 80 percent of individual cigarette packs be covered by graphic health warnings, an increase from 50 percent previously. Second, manufacturers would be allowed to market only a single variation of their brand’s product, and also had to remove language on their packaging that appeared to differentiate different types of cigarettes (“low tar,” for instance). Critics say these practices mislead consumers into believing that the negative health effects of some cigarettes are lower than others. Philip Morris, which notes that it supported Uruguay’s pre-2009 regulations, says the new rules forced the company to remove seven of its 12 products from the country. The maker of Marlboro is seeking $25 million for costs incurred. The company also claims that the new 80-percent requirement for cigarette packaging infringes on trademark guarantees included in a trade agreement between Uruguay and Switzerland, where Philip Morris International is based. The case is being heard before an arbitration panel here in Washington, the World Bank’s International Centre for the Settlement of Investment Disputes (ICSID). Paulina Bobadilla was beyond desperate. The drugs no longer stopped her daughter’s epileptic seizures and the little girl had become so numb to pain, she would tear off her own fingernails and leave her small fingers bleeding. Bobadilla was driving on a mountain road with Javiera, intent on ending it all by steering their car off a cliff. Bobadilla’s desperation to ease her daughter’s condition is an emotion familiar to other Chilean parents who say medical marijuana can help their children and who, rather than wait for Congress to act, have taken matters into their own hands. Despite the risk of jail time, about 100 parents have formed a group, Mama Cultiva or “Mama Grows,” to share knowledge about cultivating marijuana to extract cannabis oil for their seizure-stricken children. Urban agriculture is playing an increasingly important role in global food security, a study has suggested. Researchers, using satellite data, found that agricultural activities within 20km of urban areas occupy an area equivalent to the 28-nation EU. The international team of scientists says the results should challenge the focus on rural areas of agricultural research and development work. The findings appear in the journal Environmental Research Letters. “This is the first study to document the global scale of food production in and around urban settings,” explained co-author Pay Drechsel, a researcher for the International Water Management Institute (IWMI). Why is Bill Gates backing GMO red banana ‘biopiracy’? The Gates Foundation has sunk $15 million into developing GMO ‘super bananas’ with high levels of pre-Vitamin A, writes Adam Breasley. But the project is using ‘stolen’ genes from a Micronesian banana cultivar. And what exactly is the point, when delicious, popular, nutritious ‘red bananas’ rich in caroteinoids are already grown around the tropics? Among the controversial projects funded by the Bill and Melinda Gates Foundation is the development and testing of a biofortified GMO banana developed to boost its iron, Vitamin E and pro-Vitamin A content. To this end the Foundation, via its Grand Challenges in Global Health Initiative, has so far given $15 million to Queensland University of Technology for the program run by Professor Dr James Dale, with a latest tranche of $10 million handed over this year. Funded by the Bill and Melinda Gates Foundation to the tune of $15 million, and currently in Iowa undergoing human feeding studies, the GMO banana human feeding trials appears have been designed for marketing purposes. Certainly Scientific American calls them simply “market trials”. Water safety has become a serious problem in China. Half of the nation’s 10 largest water systems are polluted, 40% of major lakes have pollution problems and 17 of the country’s 31 large freshwater lakes are polluted, the People’s Daily Online reports, citing various provincial research reports. In Hebei province, Beijing and Tianjin, average water resources stand at just 286 cubic meters per capita, far below the international standard for extremely dry levels at 500 cubic meters per capita, while one-third of the region’s groundwater is already polluted. The region’s major streams are all also heavily polluted, with third-level polluted waters exceeding 60%, according to a 2013 survey. “Water safety problems have become the scourge of the nation,” said Lu Zhongmei, dean of Hubei University of Economics, who conducted research on environmental law for 30 years. Vietnam continues to roll out the red carpet for foreign biotech giants, including the infamous Monsanto, to sell the controversial genetically modified (GM) corn varieties in the country. Critics say that by welcoming Monsanto, Vietnam has been too nice to the main manufacturer of Agent Orange, the toxic defoliant used during the Vietnam War that left a devastating legacy still claiming victims today. According to Vietnamese media reports, in August that country’s agriculture ministry approved the imports of four corn varieties engineered for food and animal feed processing: MON 89034 and NK 603, products of DeKalb Vietnam (a subsidiary of U.S. multinational Monsanto), and GA 21 and MIR 162 from the Swiss firm Syngenta. The Vietnamese environment ministry has to date issued bio-safety certificates for Monsanto’s MON 89034 and NK 603 corn varieties and Syngenta’s GA 21, meaning farmers can start commercially cultivating the crops. The ministry is considering issuing a similar certificate for the other variety, MR 162. Given the current political landscape, it seems that approval is just a matter of time. Today’s program looks at how the fracking industry uses its financial power to influence Congress. Jorge Gestoso interviews Melanie Stone, a recognized expert on the issue, executive director of Citizens for Responsibility and Ethics in Washington, and author of the recently released report “How the fracking industry fuels Congress”. The increase in fracking activity has been accompanied by a massive 231% growth from 2004 to 2012 in the industry’s campaign contributions to congressional and senatorial candidates from districts and states home to such activity, from about US$2.1 million to US$6.9 million. Such cash contributions is money well spent and has effectively bought the silence of many legislators. The fracking industry likes to minimize the sector’s bottomless thirst for often-scarce water resources, saying it takes about 2-4 million gallons of water to frack the average well, an amount the American Petroleum Institute describes as “the equivalent of three to six Olympic swimming pools.” That’s close to the figure cited by the U.S. Environmental Protection Agency (EPA) as well. But a new report released by Environmental Working Group (EWG) located 261 “monster” wells that consumed between 10 and 25 million gallons of water to drill each well. Among the conclusions EWG teased out of data reported by the industry itself and posted at fracfocus.org is that between April 2010 and December 2013, these 261 wells consumed 3.3 billions of water between them, a average of 12.7 million gallons each. And 14 of the wells topped 20 million gallons each. JAY: But now, you know, as we see capitalism in its–the ’08 financial crisis and the sort of recovery of Asia, you start to see–and let me add another big thing is there’s no longer this–even if it’s hypothetical–or was it theoretical?–but there wasn’t this supposed socialist Soviet Union that was going to guarantee jobs and insurance, health insurance, and this and that. I mean, the message of European capitalism and America to Europe, not so much to Americans: well, you don’t need socialism to get all this; capitalism can do it for you. NADER: Yeah, social democratic politics they called it. JAY: But now Europe is now turning on itself, and they’re doing everything they can to get rid of all this stuff. And now they want to be like the American model, to be more competitive. But I guess where I’m going with this is: have we entered a kind of new stage of history of capitalist development? NADER: Well, basically it was globalization that did it to Western Europe. Once they took in the model of the World Trade Organization, once they in effect financialized more of their economy–derivatives, speculation, stock market, all that–that’s when they started going down. I warned them: do not accept the U.S. multinational model, ’cause it’s going to happen to you. And the effect of the multinational model was exacerbated by the European common market. So if they got in one country, they’d get in a lot of the other countries. However, they still have a safety net. And it’s frayed badly in England. For example, they’re charging students now as high as $12,000 a year for tuition. But by comparison with us, nobody dies in Western Europe–nobody dies in Western Europe because they don’t have health insurance. They’re insured from the cradle to the grave. In this country, 800 Americans die every week, every week, ’cause they can’t afford health insurance to get diagnosed and treated in time. And that’s–figure comes from a Harvard Medical School peer-reviewed study in the December 2009 Journal of American Public Health. This is not some wild figure. Eight hundred a week, and not a single major politician is talking about it in the election year last year. What’s next? Real, live Turduckens? But at least it’s not a GMO. . .
A hybrid plant that combines a tomato and a potato has been launched in the UK. The firm behind the TomTato has called it a “Veg plot in a pot” and says it could help many people grow their own vegetables at home. The grafting process involves providing a clean cut on the two plants and taping the ends together until they heal. The procedure has been around for more than 15 years but hasn’t been made commercially available until now. Report by Ashley Fudge. discontent. The Party’s response was to allow small-scale private enterprises and food production, a policy known as the New Economic Policy, or NEP. 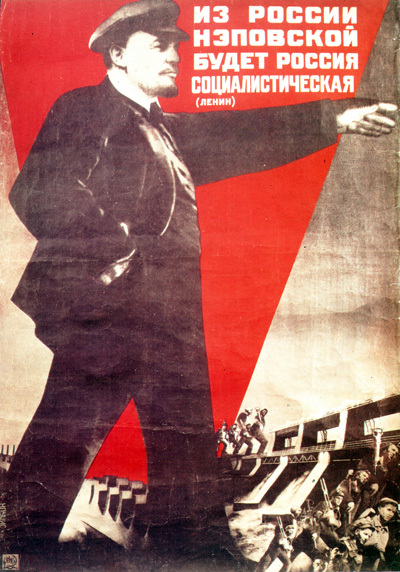 But the NEP was brutally destroyed by Stalin after his consolidation of power after Lenin’s death, with the program declared finished in 1928. In 1959, when Fidel Castro’s revolutionary took control of the Cuban government, both of the world’s leading self-declared communist states were still in the throes of Stalinist central control, though Nikita Khrushchev had loosened the reins a bit in the Soviet Union. Castro, financially supported by the Soviets, adopted a modified version of the Moscow system, which was maintained trough the collapse of the Soviet system, then modified creatively and by necessity when the flow of Soviet cash and oil evaporated — leading to, among other things, the world’s most productive system of urban agriculture. Cuban adapted and endured, and despite the decades-long economic embargo by the United States and a ban on U.S. tourism — once an economic mainstay of the island nation. Now Cuba is embarking on what might be described as its own version of the NEP, most notably in agriculture. Now the Cuban experiment is treated to coverage by only major international power claiming the communist mantle, China — which has traveled much farther down the market economy road than Cuba. In 1968, Cuba nationalized its businesses, adopting a Soviet style system that had all enterprise controlled by the state. CCTV correspondent Michael Voss finds that conditions appear to be changing. We love that 1951 Chevrolet driving by the food co-op manager, an amazing testament both to the durability of Detroit’s vintage iron and to the spirit of the Cuba people in keeping it running for the last 62 years. In the latest and penultimate segment of Paul Jay’s interviews of Chris Hedges for The Real News Network, Jay and the former New York Times Middle East bureau chief focuses on the narrow range of mainstream political discourse and the need to build institutions to challenge And circumvent the ever-consolidating wealth and power of the elite. JAY: So people watching this, what would you suggest they do next? HEDGES: We have to begin to build organizations to protect ourselves from corporate forces that are determined to exploit the ecosystem until it collapses. We have to recognize that the implantation of global capitalism is one that will reconfigure the world into a kind of neo-feudal society where workers here will be told that they have to be competitive with the sweatshop workers in Bangladesh and make $0.22 an hour prison labor in China. That’s already happening. We have to recognize that the vast corporate systems that we have set up. For instance, our food system is very fragile and is not sustainable. Food must once again be local. We can’t continue to feed ourselves on a system where we’re shipping all of our fruits and vegetables from California or Florida across the country. That means beginning to–and more than community gardens, but essentially buying local, creating sustainable systems that are local, bcause when things go down, the elites will withdraw into their gated compounds, where they will have access to security, water, medical facilities, all sorts of things that they will deny to the rest of us. They’re not going to take care of us when things come, when things go bad. And we have to begin to prepare for that. It’s not a very pleasant scenario. It’s not pleasant to think about. But it’s survivable if we begin to respond to what’s coming. As long as we remain unplugged, as long as we are checked out, which is how they want us, we’re going to be left defenseless. Today the culture show takes you to some of France’s most celebrated gardens. A journey throughout the country to understand what makes the Tuileries or Claude Monet’s Giverny so special and what kind of new challenges they face. You’ll see that the work of landscape architects and gardeners is art itself. Standing the test of time, these gardens attract hundreds of thousands of visitors every year.